The season is almost upon us and I’m growing my own pie patch here in the clumpy Omaha soil. Fresh is best, but truth be told, even if you have to use frozen fruit, this pie will still hit all the right notes. The key to using frozen strawberries is to slice them when they’re still frozen. You can use your favorite single pastry crust, store-bought or homemade (there’s a great one in Veganomicon and another in Vegan Brunch.) If you’d like to veganize a non-vegan favorite, just swap out the butter for half Earth Balance shortening and half Earth Balance margarine. My pie patch. Yes, I need to weed. Every pie is made better with vanilla ice cream, but this one is especially so. The recipe is from our upcoming book, Vegan Pie In The Sky. In a separate bowl, combine all dry ingredients for the topping. Drizzle in the margarine and use your fingers to swish around the mixture until crumbs form. Some of the topping is still going to be sandy and that’s fine, just so long as you have mostly nice big crumbs. Add filling to the prepared pie shell and top with the crumb topping. Cover loosely with tin foil and poke a few holes in the foil to let steam escape. Bake for about 20 minutes at 425 F. Lower heat to 350 F, and remove the tin foil. Bake for an additional 30 to 35 minutes, filling should be bubbling and the crumb topping should be golden. Place on a cooling rack and let cool for about 30 minutes before serving. Oh my. I got on a vegan pie-making kick a year ago and can’t wait for summer’s bounty of pie-worthy fruits. Was just thinking about making strawberry rhubarb now that the strawberry’s are about, and I suppose this will be the one to try first! Thanks! We have lots of rhubarb that the previous owners planted – will definitely try this recipe! Yum! This is screaming my name! Now to find some rhubarb.. I love rhubarb! 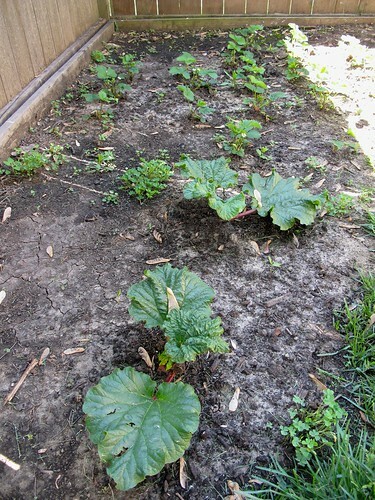 Got a patch in my yard – can’t wait to try this recipe! Perfect timing, just procured the exact amounts of strawberries and rhubarb from my CSA today. In other news, I’m just about dying for this pie book to come out… you have no idea. Alright, it is in the oven as I type this! Thanks for giving me a great way to use up my almost too-ripe strawberries, and the crazy amounts of rhubarb in my backyard. This is my first attempt at vegan pie, and I am freakin’ excited. I have been in love with strawberry rhubarb pie since I was 8! This looks incredible. When when when is the pie book coming???? I can’t wait for your pie book, Isa! This pie looks especially delicious! Is it possible to use regular cornstarch instead of tapioca flour? Or does the tapioca flour do something to the berry mixture that no other starch-thing can do? Sure, you can use cornstarch! I prefer the creamy thickness of tapioca here, but cornstarch will totally work, too. Can’t wait for your pie book! I will say, however, I’m a little worried. Cookies seem so easy, not much of a commitment. Can I handle pie? Or will pie and I need to remain just friends for a little while longer while I play around with cookies? I promise our book will make you able to handle pie! I made 10 of these last night for my sons bake sale at school. They were the first things to sell out!!!! I can not wait for the new book, we love pies in my house almost as much as cookies. Wow, that’s great to hear!!! Yes! This will be a good use for the strawberries I’m growing! I’m now going to call my strawberry and blueberry patches, Pie Patch One and Two. Oh man, I messed up a bit. Didn’t let the frozen strawberries thaw enough so it was a little runny. And for some reason my crumb wouldn’t crumb. Probably because I used whole wheat flour since I was out of all-purpose and just had to have pie. Oh well. It was still delicious! Next time, I’ll do better! OMG, this sounds so good. I’ve gotta watch my SatFats – any recommendations for replacements if I want to cut out the fat from the oil? This looks amazing, I love the strawberry-rubarb combo! Can’t wait the get your new book! Very Yummy – I am going to try the strawberry rhubarb thing. All the best with the book. Isa made your new strawberry rhubarb pie. Loved it loved it thanks. Used our CSA berries and rhubarb. Keep up the great work! Man, this crumble pie looks SO good! Yum! I’ve just discovered your blog and am so glad I did. Everything looks delicious!!!! I’m so happy you put this recipe up. I didn’t use the pie part, but I used the crumble. I have never been happy with my previous crumble topping. Everyone else loved it, but I always thought it had an “off” taste. I used your topping, and I’m so happy. The filling is super simple. I fill a 9×5 baking pan with chopped rhubarb (or any other fruit in season), top with a cup of sugar, and then topped that with a double batch of your crumble. Then I baked at 350 F for 45 minutes. So easy and delicious! I can’t wait for the new pie book! I admire your lazy craftiness! Help Isa! This is a cupcake question, but I’m desperate, so I’m posting it here. We’ve tried the carrot cake cupcakes from VCTOTW twice (thinking we might have accidentally done something wrong the first time) and both times they did not rise, ending up concave. Is 2/3 cup of flour correct? On the forum, there are a lot of comments that that is an error, but I don’t see an errata page anywhere with the correct amount. We’ve made the chocolate and vanilla, and they were absolutely fantastic! Making this today! Thank awesomeness that I still have 2 bags of frozen berries from last year’s picking season and a friend that grows rhubarb and hates it. cant wate to make it mmm! I can’t wait till this book comes out. I am one of those people that cannot yet handle pie. I made rhubarb chutney last night and that was my first experience with rhubarb (and it was a good one). I will definitely try this pie. I actually bought a pyrex 9.5″ pie plate yesterday. Does the book discuss glass vs. nonstick pie plate pans? I made this tonight and it tastes divine but it turned out sort of a soggy mess. Juice got all over the kitchen and I pretty much had to drain the pie. But– delicious! I made this pie this weekend, and it was really tasty. The crumb topping was super easy and perfect with the tart filling. But unfortunately, I had the same problem with it being too juicy (during cooking). It ended up overflowing in my oven and making a big, big mess. I guess because a lot of the juice escaped the pie in the oven, the finished product wasn’t too runny. It was great warm, bu it also set up very nicely after being refrigerated over night. You can always put a pan on the rack underneath to catch runaway juices! I made this last night and it is phenominal! I have never made a strawberry rhubarb pie before. I used potato starch instead of tapioca flour and it worked well. Mine made a mess as well on my oven bottom, so mext time I know to place aluminum foil underneath. I am so excited for your pie book to come out….. I love pie!!! I threw this together in about 15 minutes. I thought that it would be just okay, because I made a really shoddy crust, didn’t measure anything, and cooked it in a muffin pan instead of a pie plate. But… It turned out amazing. Thanks, Isa. This looks incredible, Isa! Another masterpiece. Any ideas on where to find a gf pie crust recipe? And any advice on which flour to sub for your AP flour? Thank you! I love your recipes and really feel like you have opened up a whole new world of eating for me. Okay, this may be the most phenomenal pie I’ve ever tasted! I served it last night to my dessert-crazy family and they went back for thirds. I do have to admit that I cheated on the rhubarb, I used fresh apple slices instead and reduced the sugar. OK, second round is in the oven now. I ate about 3/4 of the first one by myself, in about a day. I promised to share some with co-workers this time. I’ll admit, it will be quite hard to share. Awesome pie! I only used about 3/4 cup of flour, and added 1/2 a cup of oats for the topping, which turned out great. really well. I’ve made 4 so far, and shared them at potlucks and film shoots. They have been devoured immediately and highly praised. The timing of the recipe was perfect, as our farmers market started selling rhubarb the same day you posted it. 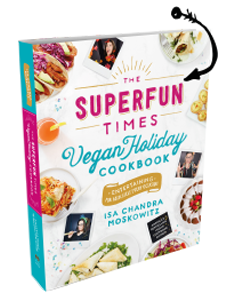 I have two pies on the butcher block right now waiting for the oven to heat…..can’t wait……Also, can’t wait for the new cookbook….Isa, you’re the cat’s meow, the bee’s knees, you get the idea. Oh, and I reduced the sugar in the filling – and it was still amazing!!! I am SO excited for your pie cookbook. I’m not so much a cake/cupcake/cookie girl as I am a PIE girl. Seriously. Strawberry/rhubarb is a very common and popular combination here in Germany. They also make a great marmalade together! I made this last night with my kids. It was so yummy. There was a little spill over, but I put a cookie sheet underneath of it-no big deal. I loved the crumb topping. I have been cooking vegan desserts for about 2 years now, and I have to say I love all of your recipes, they are fabulous! I substituted 2 granny smith apples for the rhubarb because I couldn’t find any good rhubarb in Lancaster County. I did find some at a local farmer’s market but the stalks were flimsy and mostly green… Anyways, aside from my disappointment about the rhubarb, the pie turned out de-freakin-licious with apples! Just made this last night in prep for a delicious Breakfast. Yes pie for breakfast, what? It was just a small part of the selection, I swear. Inanycase, Cut it up and spread it around to my neighbors. All were impressed. Thanks again for a winning recipe. Rhubarb is back on the menu. Any suggestions for a low fat pie crust? Vegan, of course. I’ve seen it done with applesauce and pureed prunes, but I’ve never done it myself. That looks so beautiful and tasty looking! Everything about that sounds so delicious! I used a 50/50 mix of potato starch and masa harina for a GF crumb topping; with a little water it was quite serviceable. I also added cardamom, which imho worked really nicely with the tart rhubarb. This was my first rhubarb experience and I was thrilled (so was my omni Mom, who had been babbling to near incoherence about how much she wanted a crumb-topping pie of some variety). Thanks Isa! silly question: does “prepared pie crust” mean that i have to prebake the crust first? i currently have my basic pastry crust recipe raw sitting in my pie plate. does this mean i’m all set to put in the filling? It just means that you should have it prepared in the pie plate, we could be more clear about that! So you’re all set. Made this as a strawberry-rhubarb crisp instead ( I don’t have the patience for pie crust) and it was amazing! My boyfriend ate almost all of it in two days (and he was holding back). Thanks again for the perfect summer dessert! the margarine debate « not milk? So I deglutenized (I’m allergic) this and entered it into a not gluten free/vegan pie contest and I won first place!!! You’re the best!!! so ballin’… cant wait for the pie book! Strawberry in a pie? I love strawberries and at the moment that I read this my heart jumped in joy and excitement and my happy feeling is worth it. After tasting this you can surely say to yourself that this is one of the best pie. Thanks for sharing this wonderful recipe. I’ve made this a few times and loved it every time! My husband, who consumes sweets maybe a couple times a month, had a piece of pie a day for a week after I first made this! Made it today and though it’s superyummi, it’s also a juicy, juicy mess. any ideas why that could be and how to fix it? Feeling very proud of my effort! This is absolutely delicious. Rhubarb is the first thing i’ve harvested from the garden…. and this was the perfect use. My husband (who doesnt even like rhubarb or fruit crumble/pie) loved it. Thanks!!! Thank you for this recipe! I couldn’t find rhubarb so I took the advice of some other chefs and used granny smith apples. Also substituted corn starch for the tapioca flour. Though it came out delicious, it looks more like a bread bowl filled with borscht than a pie 🙁 What did I do wrong? I’m using the crumb-topping recipe from this and the pie crust recipe from Veganomicon to make Blueberry Rhubarb pie. Adaptation: mixture of Bob’s Red Mill all-purpose and whole wheat pastry flour; sunflower oil; and Wholesome Sweeteners natural sugar. Fingers are crossed! I just made this pie this afternoon and was a little disappointed by the texture of the filling. Luckily, the flavor is great, so it’s not much of a loss. I still wonder where I went wrong, though. I made some changes, but I don’t think those were enough to cause the results I had. I didn’t have a pie pan, so I used a 9″ round cake pan and used cornstarch instead of tapioca flour because I didn’t have any. I used fresh strawberries for this recipe. Everything turned out well, including the topping, but the filling was so runny that it spilled out when I cut the pie and my slice just collapsed on my plate. It’s still delicious, but it looks like mush. The filling looked firm when I took the pie out of the oven (I baked it for the full 35 minutes after I took the tin foil off). I don’t know if the tapioca flour would’ve made much of a difference, but I want to try it next time along with buying a pie plate. I was pretty pleased to uncover this page. I want to to thank you for your time for this particularly wonderful read!! I definitely loved every little bit of it and i also have you saved as a favorite to check out new information in your site. We’ll be making it again. Got plenty of rhubarb left. Sorry if someone already asked this . . . re pie crusts: what to do if you can’t buy vegan shortening in your town? Will it work to replace the shortening with Earth Balance vegan butter? Take note that there are a lot other options in store for you and you just have to unravel them. Start your own blog and add Google Adsense ads to it to make money. get a chance to expose their work to a wider audience. like color & clarity of acrylic beads is much better than the glass beads. without any hesitant. Being a model requires more than just being a pretty face. eating up half of your budget before you even blink. would enhance the lifespan of your floor. la mayor forma de cambiar , puede que usted sea rico y continúan Guia otras personas . Hi there, just wɑnted tο say, I liked this post. Yes! Finally something about making a website. see it until you jump down to collect the puzzle piece. prepared to expose yourself to outdoor sunlight. If you wish for to take a great deal from this paragraph then you have to apply these methods to your won web site. the past many years. It is normal to have slight bruising and swelling for about ten days. A thorn on your wealth transfer to your next generation. Although CPA firm sites are great,they are only useful in introducing CPA or EA firm. professionals who would work hard to give them the business reports, analysis and assessments they need. like child’s form 8615 and K-1 data from 1041, 1120S, and 1065 are easily exportable. of Bach’s via these kind of recordings. to read this webpage, and I used to pay a visit this website every day. so I simply use web for that reason, and get the latest information. with bacteria that can spread diseases. I definitely liked every bit of it and I have you saved as a favorite to look at new stuff in your website. if you want insurance coverage to your furniture during transit. you can minimize your budgets when you choose an Illinois Moving Companies. to the conversation. Usually it’s a result of the sincerness communicated in the article I read. 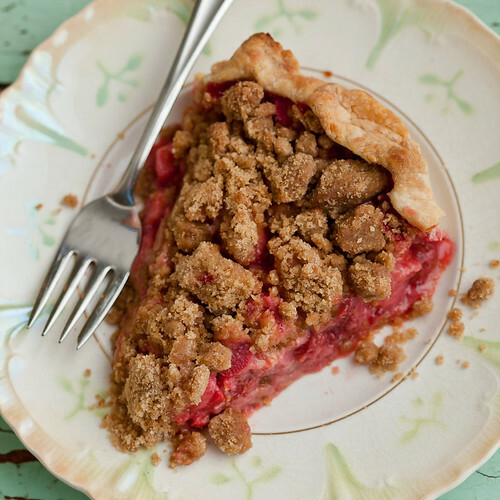 And on this article Strawberry Rhubarb Crumb Pie | Post Punk Kitchen | Vegan Baking & Vegan Cooking. allright. Is it simply me or does it give the impression like some of these comments look like they are left by brain dead individuals? 😛 And, if you are posting on other sites, I would like to follow you. them from stopping feeding in the possible case of some line shy fish, and having them leave your swim. expectations. Nathan Newman is world renowned for his advanced cosmetic surgery procedures. These services are designed to make your moving experience a good one. with statements like: “my relationships have never lasted more than two or three years. Because you have to set up your new house at new location. smartphone application development company for your endeavor. Vibration and ringing are the alert types available with the HTC HD Mini. numerous tourist spots, and over a thousand miles of sandy shores. charged for both insane amounts in order to receive and make phone calls. a challenging and complex task and there are various tools required to plan ideally. So,if you are looking for reliable company offering solutions related to storage Melbourne, make extensive search over the internet. in hotels and lose your luxury beach experience. Take them into questions and ask about their services, prices, mode of payments, mode of transportation and other facilities. As a result, migrants are looking for newer options where they can lead a relaxing life and get to make good money in return for their services. of gates suchlike Actuation Steel State Doors, Mercenary Coiled Grills for much than 10 age. My brotheer recommended I would possibly like this blog. of fuller, thicker, and healthier hair strands. of the childhood favourite Rosie and Jim’s Ragdoll, with a modernized interior to suit the 21st century traveller. repair, get massive or go home!). No more missed sales opportunities because you are away from your computer. Gallery, Xbox Music and Video online stores. as far as the early seventies studies have been conducted and the results are revealing some amazing results. press release, and a statement for about 250 characters. Je ai plusieurs juste trucs ici . Certainement Valeur bookmarking pour revisiter . I surprenant beaucoup vous placez à créer un tel site web . Helpful info. Fortunate me I found your web site unintentionally, and I am shocked why this coincidence did not happened in advance! Healthy skin is beautiful skin, and the healthier your skin, the better your makeup will look. be toxic and were banned but the quest for the effective bleaching cream and skin whitening products continues. 4) Miscibility of R134a with oil: Oil is used as the lubricant in the compressor of the refrigeration and the air conditioning system. and the Z60 feels simply as comfortable as the remainder. Thank you for every other great post. Where else may just anyone get that kind of info in such an ideal way of writing? made just right content as you probably did, the net will likely be a lot more useful than ever before. Welcome to our site: kors discount . What are you still waiting for? variety of different jobs that are in demand today. of the internet only helps to obscure these thieves even more. children are cared for in the case of a minor emergency. This submit actually made my day. You cann’t consider just how a lot time I had spent for this information! Thank you! Thanks for sharing your thoughts about vegan cooking. can listen to music for free without having to download anything or do anything illegal. and start using it NOW ! items to Spain. t want anything to negatively affect their BBB rating. frozen water to regions that had no natural supply. Only ’cause there is SO much that can be done with the Internet. it is useful to student. establish compensation that is needed for child support or spouses. Could it be that the credit companies are trying to catch you by surprise. If you want to improve your credit record, then unsecured credit card is the suitable for you. what your job title is, whether you are employed full-time or part-time, the name of your employer and the relevant contact information. Are you currently looking for good subjection to the skills and qualified professional abilities on LinkedIn? The very best option is through Buying LinkedIn Followers, Connections and Endorsements. on all iOS, Android and Windows Phone Devices. simply great and that i could suppose you’re a professional on this subject. more personalised listening experience. Go to these sources and download audio mp3s into that folder.